I can’t believe I haven’t posted in over two weeks. I literally haven’t had the chance to do any of this with everything going on with work, side job, board duties, and maid of honor duties. In the past 2 weeks, I’ve done my regular workout routine plus thanks to a Well & Good code, I was able to try out CYC for free. I also tried FlyBarre in Miami for free (1st class is free). Stay tuned for those posts. For the record, PW is personal worst…now here’s my story. I went to Miami this past weekend because my sister was doing the marathon and I just decided to tag along. It was much warmer than I remembered it. When I was there back in March, it was cold (low 70s, cloudy, rainy), definitely not beach material. 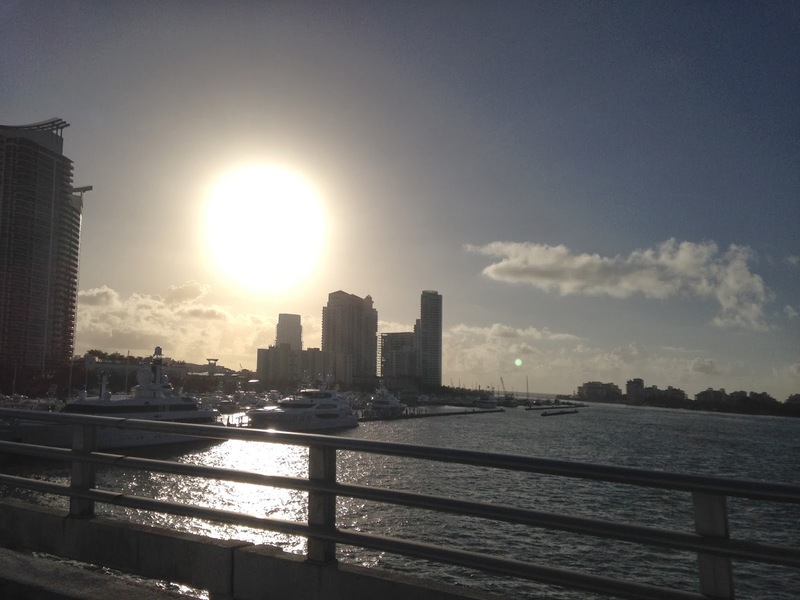 This past weekend, despite the spurts of rain showers, it was hot and humid. Obviously this made great running weather especially for those who train (or don’t train like me) in much colder climates #sarcasm. 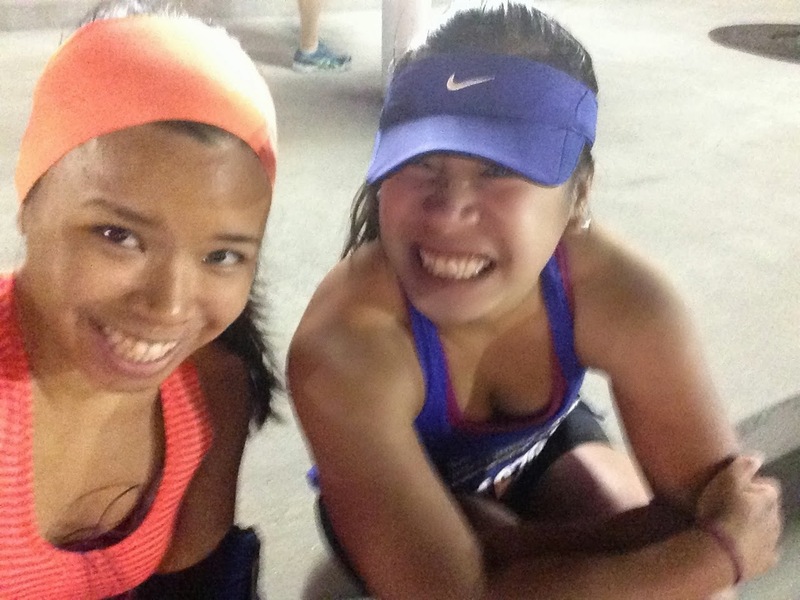 I was really nervous about the 5k and the half since I haven’t been training at all. I signed up for the Half months ago and the 5k was a last minute decision a few weeks ago since my sister and mom were going to do it. 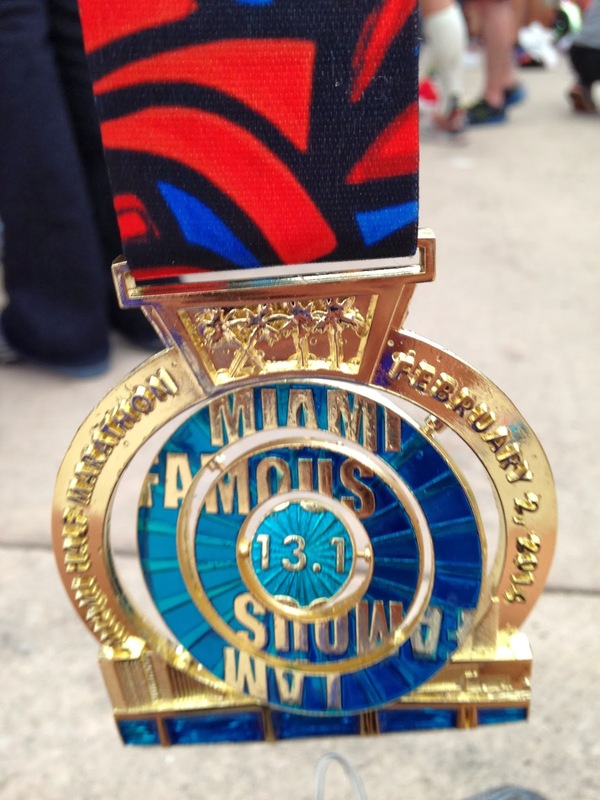 The race was the first few miles of the Miami Half & Marathon. It’s similar to the NYRR Dash to the Finish 5k the day before the NYC Marathon. It was dark when we left the hotel but the humidity was already at 90% by the time we started at 7:30am. I survived the 5k (my 1st in 3 years) and wasn’t actually that sore that day. 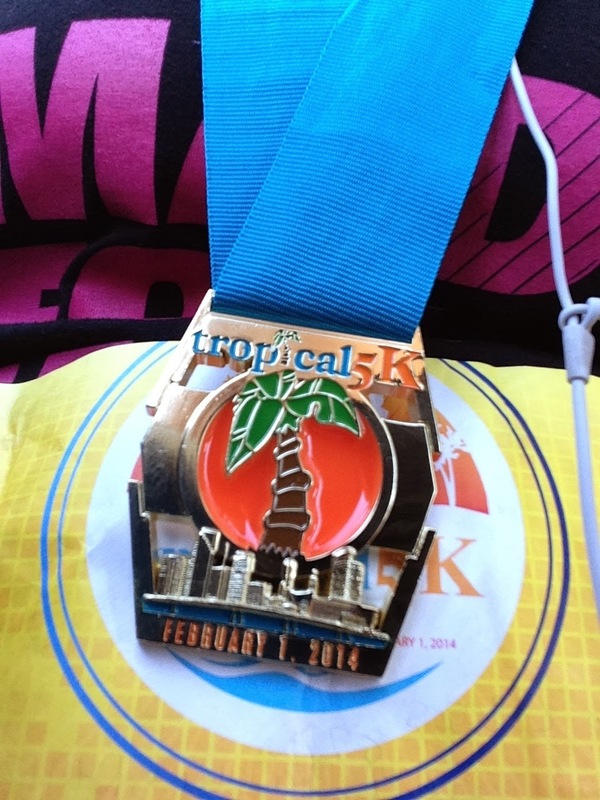 A 5k feels so fast after running a marathon even if the 5k time was terrible. However, after the 5k, I was really dreading the half. I love halts but the heat. The heat the heat the heat. It was just bad. I complained about the humidity last May during the Brooklyn Half which started in the 50s & rose to the 60s when I was done. And the humidity was about 70%. The Half & the 5k brought really great energy but there was nothing that could have made me want to do this. Except I paid for it and I wanted the medal (it’s beautiful and no picture can capture the beauty of it ha). The energy was really good. It was nice having room to sit prior to the race (the sister and I were sitting on the steps of the American Airlines arena for an hour and half or so) They also did something interesting and corrals were closed. Maybe 25 minutes prior to the start they started to allow people in corrals one by one. It was also nice not to be wearing layers on top of layers of throwaway of clothing. The last time I checked my phone it was right before 6:35am. Miles 1-3: slightly hilly because of bridge incline. The sun wasn’t at full blast yet but by the time it was already light out. Miles 4-6: ocean drive of South Beach, there’s a nice breeze here. I was running what really did feel like a very hard and fast pace. I also realized that I was sweating right through my visor which was soaked. It also felt like it was raining with the amount of sweat down my neck that was just dripping. Miles 7-10: This was hell. I was pretty determined not to stop and I didn’t until 7 or so. I had no idea where I was and was losing my motivation. It was just too hot. The sun was really bearing down on me at this point. Also part of this was through the Venetian Islands which is connected by a series of bridges. The incline isn’t terrible but it felt horrible. Miles 10-11: I ate some pineapples that were served on the course, and got blessed by a priest who was throwing down holy water. As a catholic, it was pretty hilarious. I mean who gets blessed during a race? I also found my motivation again. The crowds were back and they were loud. Miles 12-13: The sun all of a sudden faded and it was growing cloudier. At mile 11.5, I was following this lady in yellow who was run/walking the end of it. I was kinda pacing her but then I stopped. She came up behind me and put her hand on my back saying “you got this, you got this, it’s only a mile and half left.” So I kept running at that point and didn’t stop. I thought I was running the 1st half of the race at what felt fairly fast pace. In actuality I was running an 11:22 pace at the 10K mark with an estimated finish of 2:31. I clocked in at 2:47 – almost 40 minutes off my half PR of 2:09 and 16 minutes behind my 1st and previous PW (personal worst) half marathon time of 2:31. I can’t really be mad at myself as I didn’t train really and SO HOT. The medals made it worth it. It was definitely one of those races that I just wasn’t into. I just couldn’t. 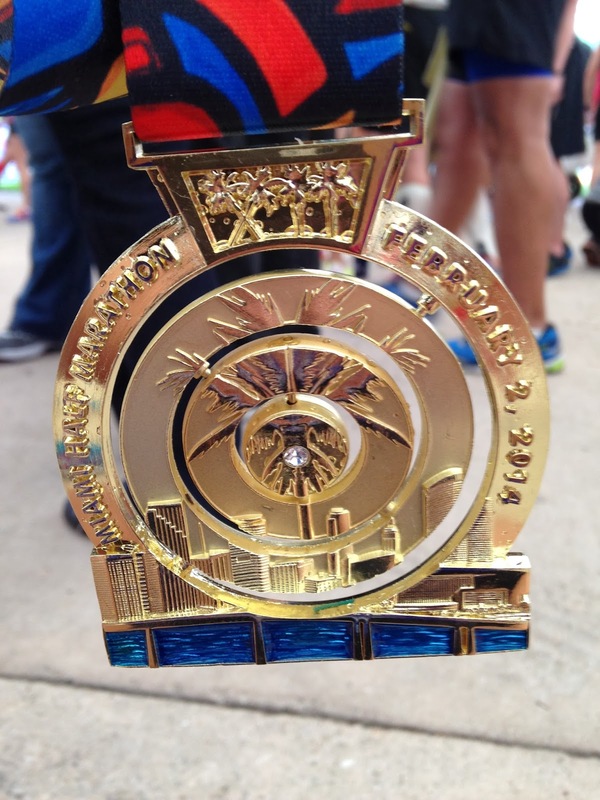 I wanted this to be a half PR race but even if I trained for it, I just wouldn’t be ready. Luckily even though my calves felt tight at one point and my feet hurt a bit (especially the tendonitis one), it eventually went away in the race. The most post race pain was in my quads for some reason (I say this with confusion because if I work any muscle a lot – it’s my quads). Luckily I have two more shots at a half PR before marathon training season – signed up for the NYC Half & the Brooklyn Half. If anything this race weekend made me want to train again!